The greatest and most successful college football coaches are those who unlock the hidden potential in a program. Not only do they bring out the best in themselves, they also bring out the best in their assistant coaches and, most importantly, their players. From perennial “P5” powerhouses (Power 5 NCAA Division 1 football conferences) to freshly minted FBS teams (Football Bowl Subdivision, formerly Division 1-A), these coaches are all across the country. While many coaches enjoy success at larger, more prestigious programs, some of the greatest coaches in college football cut their teeth coaching smaller, often fledgling teams. For many of these programs, football is largely an afterthought, underfunded by un-involved administrators and unsupported by indifferent students. Instead of focusing on the program’s shortcomings though, these coaches spend time changing their school’s football culture. They are trailblazers, imbuing a new sense of pride, excitement, and admiration in students for their football teams. As Pioneer of the Veer Offense, Coach Yeoman and the Houston Cougars led the nation in offensive yards per game in three consecutive seasons. most memorable and storied teams in the country. The original bona fide dude at UH, he brought out the best in his players and the university as a whole. Yeoman’s time as head coach is defined by one, constant theme: overcoming adversity. 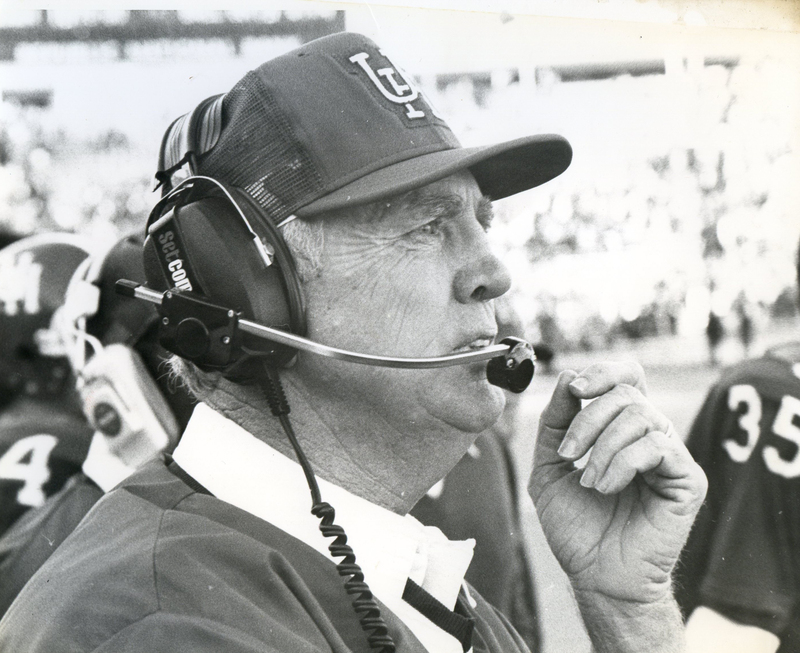 As head coach, Yeoman had to fight for every inch of success. Whether on the field or off, no victory could be taken for granted. 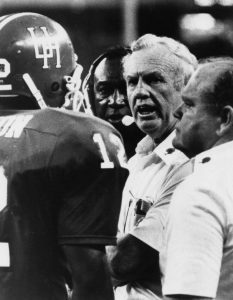 Watch: Article author Ryan Graham gives insight into the achievements of Coach Yeoman during his tenure at UH. Watch: Coach Bill Yeoman discusses the origin of the Veer offense and the major teams the scheme helped the Cougars defeat.